Although the term Animal-Assisted Therapy (AAT) is relatively new, the use of animals to help people overcome illness and/or mental disorders is not a new idea. The earliest use of pet animals for therapeutic use was in Belgium in the middle ages, where pets and people were rehabilitated together, with pets providing a part of the natural therapy for the humans. Following this practice, The York Retreat in Germany and Bethel for the mentally ill and the homeless included animals, as a part of the therapeutic milieu reaping the benefits. Later, the Human Animal Bond was conceptualized by a Psychologist, Boris Levinson and Konrad Lorenz, an Austrian Nobel laureate in Physiology. This bond is explained as an intrinsic need in humans to bond with nature, especially in the background of their chaotic lives. 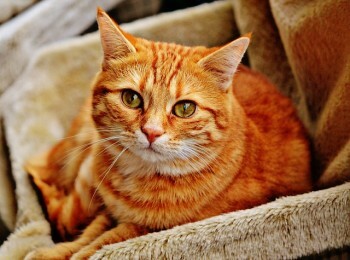 The modern movement of using companion animals as a means of therapy had a multidisciplinary origin, involving the fields of veterinary medicine, psychology, sociology, psychiatry funded by pet food industry (Chandramouleeswaran & Russell, 2014). There are references to the fact that the early Greeks used horses to lift severely ill people’s spirits. In the 17th century, physicians reportedly began using horses as treatments to improve both physical and mental health issues in their patients. In the 1940s, the American Red Cross and the Army Air Corps established a farm where recuperating veterans could interact with and take care of animals while they were healing from war injuries and illness. Working with the animals was thought to comfort the recovering veterans, help them forget about the war, and focus on recovery (Fine, 2000). An unlikely champion of AAT was Dr. Sigmund Freud, who used Jo-Fi, his dog, in his clinical practice. Freud believed that Jo-Fi could judge a person’s character accurately. Freud also believed that having Jo-Fi present during his therapy sessions had a calming influence on his patients, particularly children (Coren and Walker, 1997). 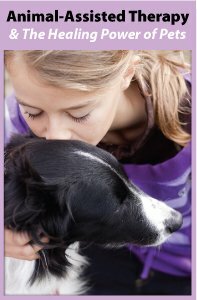 Animal-Assisted Therapy (AAT) is a 2-hour online continuing education (CE/CEU) course that provides the information and techniques needed to begin using the human-animal bond successfully to meet individual therapeutic goals. 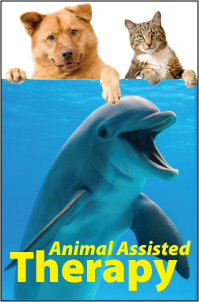 “Animal-Assisted Therapy and the Healing Power of Pets provides an essential foundation to anyone interested in animal assisted intervention work, whether as a healthcare professional or as a volunteer therapy animal team with their dog or cat. Dr. Rand uses a narrative writing style, supplemented with photographs, to give the reader a deeper, more experiential understanding of the material and makes for a good read. The course includes numerous clinical examples, evoking an awareness of the unique bond between people and their companion animals.”- Endorsement by Aubrey H. Fine, EdD, author of Our Faithful Companions: Exploring the Essence of our Kinship with Animals. New Monthly Specials @ $10/Credit Hour! Spring is here and so are your new April CE Specials! New ways to save on CE, including a FREE video course (NOT an April Fool’s Joke!). Hurry, sale ends April 30, 2015! Sale prices valid on future orders only. $10 Off $99 – All the Time! Instantly save $10 on orders $99 or more (after coupons). Automatically applies at checkout. Valid on future orders only. Earning CE Credits from the comfort of your own computer or tablet has never been so easy. Click here to learn more.